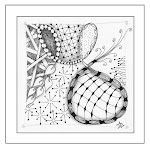 Zentangle - Time To Tangle: CBS Sunday Morning Zentangle Blitz! CBS Sunday Morning Zentangle Blitz! Zentangle enthusiast worldwide are taking a moment to send their artwork along with a description of what Zentangle has meant to them to CBS Sunday Morning in hopes that CBS will find Zentangle worthy of a segment in their popular show.